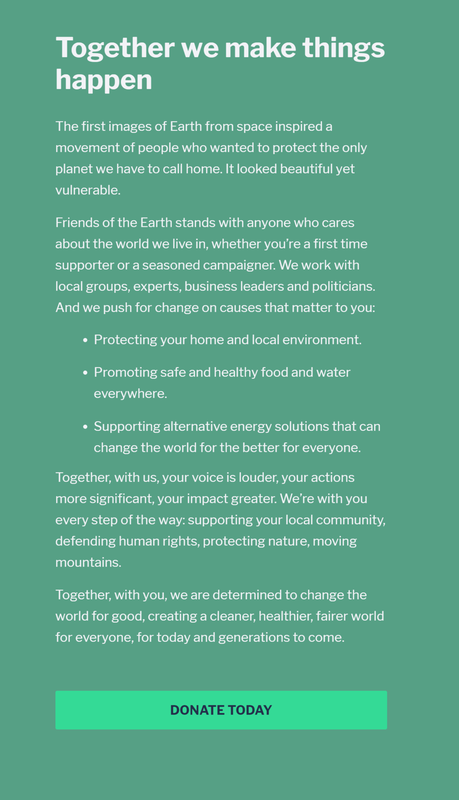 Friends of the Earth is a global environmental campaigning community dedicated to the well-being and protection of the natural world and everyone in it. Over the years, they’ve been responsible for huge changes in the way people feel about the environment – they’re responsible for making recycling not just a household word, but a household habit. The problem was that they haven’t had a chance to tell their full story - and show that they’re not just a small group of concerned activists, but a grassroots movement of ordinary people from a wide range of communities, passionate about their environment. 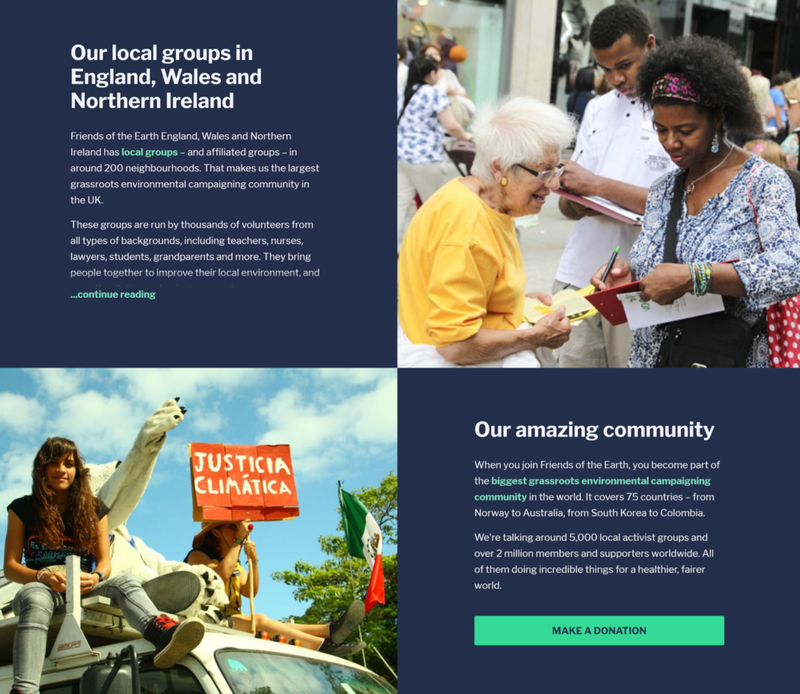 Working with their marketing team, I helped create a new story and tone of voice for Friends of the Earth – one which was more aspirational and empathetic. The story had to both emphasize their achievements and reflect their heritage, while also setting out a clear sense of what they want and how they plan on getting there. “Together” was the end result - a rallying cry for everyone to ensure that the next generation will enjoy an environment that's getting better: a safer climate, flourishing nature, with healthy air, water and food.